Visit campus for a special visit program on March 18 or 25 for incoming students — you'll experience our beautiful campus, student activities, and exceptional educational opportunities. Committed to Carroll... or even just thinking about it? Visit campus for a special program on March 18 or 25 for incoming students. 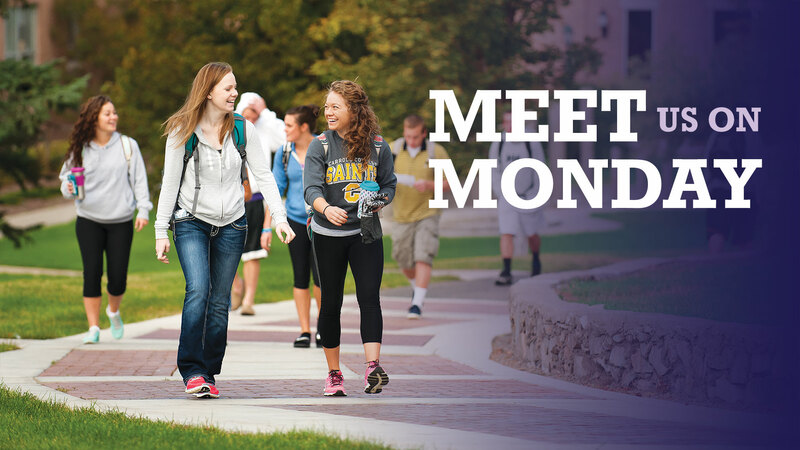 You'll learn more about our beautiful campus, student activities, and exceptional educational experiences in and out of the classroom.